The IMF Survey magazine, yesterday reported that the Executive Board of the IMF has approved a “loan and grant package for Sierra Leone that includes $102 million in extra financing, to help the West African country counter a slump in economic activity engendered by the Ebola outbreak”. But what is not clear, is whether this newly announced ‘$102 million in extra IMF financing and debt relief package’ is the same financing facility that was announced early this month, that is now being recycled. For a government that is still failing to account for $14 million missing Ebola funds, meant for the sick, concerns are quite rightly being raised as to the rationale and wisdom in continuing to entrust such large sums of money to the Koroma government, rather than find new ways of funding the country’s Ebola, social and wider health requirements. Because, on the 3rd March, 2015, the Sierra Leone Telegraph published a report on the IMF’s approval of a total of $187 million for Sierra Leone; with $85.45 million coming from the IMF’s Extended Credit Facility (ECF) arrangement, as well as an augmentation of access under the ECF arrangement of 50 percent of Sierra Leone’s quota of $72.94 million. On the 3rd March, 2015 also, the IMF Board approved $29.18 million in immediate debt relief, under the catastrophe containment window of the Catastrophe Containment and Relief (CCR) Trust. The IMF said then, that these funds will support the government’s fight against the Ebola outbreak by covering urgent budgetary and balance of payments needs, and strengthening international reserves which have been severely eroded by the declining exports revenue. Making that announcement three weeks ago, the IMF said that it is confident that this new financing arrangements for Sierra Leone, would help catalyze further financial assistance from the international community – preferably through grants. Has the government of Sierra Leone received the $187 million approved on 3rd March 2015 and what other financial assistance from the international community have they levered so far? Yesterday, 24 March, 2015, the IMF Survey Magazine said that the IMF has made another financial package amounting to ‘$102 million in extra IMF financing and debt relief’. Is this new money or part of the same $187 million package announced on 3rd March 2015? The ($102 million) package comprises the release of part of the country’s existing IMF financing arrangement, a top up of the loan total, and debt relief funded by an IMF grant. The Board approved a $12 million loan payout to Sierra Leone under the three-year Extended Credit Facility arrangement approved by the IMF Board in 2013. The Board also boosted financing under the loan arrangement by an extra $73 million, in a move aimed at generating the fiscal room to manoeuvre in tackling the Ebola epidemic and at meeting Sierra Leone’s balance of payment needs. In addition, Sierra Leone became the second country after Liberia to benefit from grants from a newly established trust, set up to help low-income countries recover from natural disasters. The Board approved a grant of $29 million from the catastrophe containment window of the Catastrophe Containment and Relief Trust to provide debt relief to Sierra Leone, amounting to 20 percent of the country’s quota, or subscription, in the IMF. The package of IMF financing for Sierra Leone draws on $100 million in debt relief funded by IMF grants, announced last month. 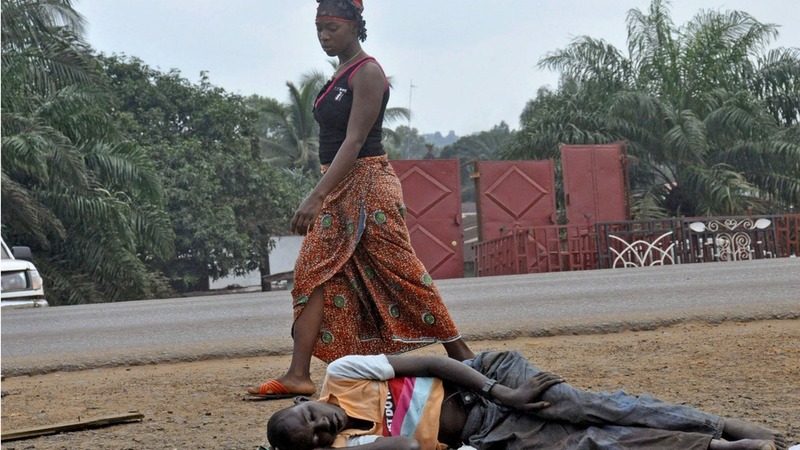 The debt relief follows $130 million in emergency assistance the IMF disbursed in September 2014 to the African countries worst hit by the Ebola outbreak – Guinea, Liberia, and Sierra Leone. 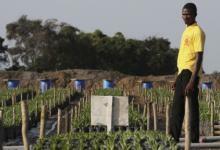 On February 11 the IMF Board approved release of $25.9 million to Guinea under the West African country’s existing IMF-backed program, and boosted financing under the program by an extra $37.7 million, also to help combat Ebola. On February 23 the Board approved $36.5 million in a debt relief grant to Liberia and a $45.6 loan payout to Liberia under the Rapid Credit Facility. The new Catastrophe Containment and Relief Trust is a permanent feature in the IMF tool kit. It makes available grants to provide debt relief to eligible low-income countries recovering from a catastrophic natural disaster or seeking to contain the potentially catastrophic spread of a life-threatening epidemic within and across international borders. The debt relief initiative and additional lending to the Ebola-hit countries were outlined by IMF Managing Director Christine Lagarde in November 2014 in Brisbane, Australia to heads of state of the G-20 group of advanced and emerging economies. Sierra Leone becomes the second country, after Liberia, to receive IMF grants to help contain an evolving natural disaster with international spillover effects. 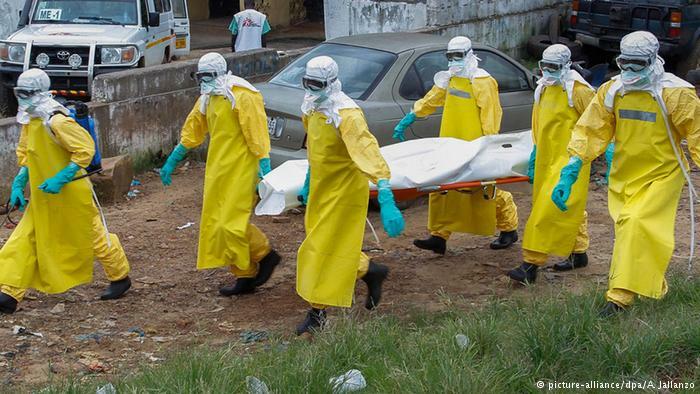 IMF staff said in a report that the Ebola outbreak and a sharp drop in iron ore prices have dealt a severe blow to Sierra Leone’s economy. These twin shocks have prompted a deep slump in economic activity, with output set to shrink by about 13 percent in 2015 after estimated growth of 6 percent in 2014. The Ebola epidemic has disrupted production and distribution channels for basic consumer goods, leading to lost incomes and heightened inflationary pressures. The population of orphans, the food insecure, and the vulnerable has increased significantly, stretching thin the current social protection system. As world iron ore prices halved in 2014, the main mining company stopped operating and activity slumped in the second half of the year in an industry that accounts for one quarter of Sierra Leone’s economy and half of its exports. The non-mineral economy contracted in 2014 as the Ebola outbreak reduced activity in agriculture, construction, tourism, and services; and investment projects were scaled back. Activity has also been disrupted in labour-intensive sectors such as hospitality, due to travel bans and a substantial reduction in government- and donor-funded projects. Sierra Leone’s government is currently working with development partners to craft a post-Ebola recovery strategy that would identify measures to revive economic activity, focusing on health, education, and agriculture. I agree 100% with Rhoda Davies Smith. It is time for concerned Sierra Leonean citizens to lobby the World Bank, IMF and IFC, DFAIT, the Uk Govt., the European Union and all of the country’s bilateral and multilateral partners to stop funding the corrupt and inept regime of Ernest Koroma. The UK’s DFAIT has spent hundreds of millions on legislative, fiscal and administrative reform, education, capacity building initiatives and the like and the Koroma-led government reverts to the old corrupt ways as soon as they are left to their own devices. It’s like playing a game of whack-a mole. And at some point, the taxpayer who is footing the bill has to ask “where is the value in all of these initiatives”? Stop wasting taxpayer funds on Sierra Leone. I am Sierra Leonean, born and bred, and take it from me that no amount of instruction of Ministers about anti-corruption and doing what is in the public interest, will make Koroma and his cabal do the right thing. The entire government is unfit for purpose and has no business being in power. 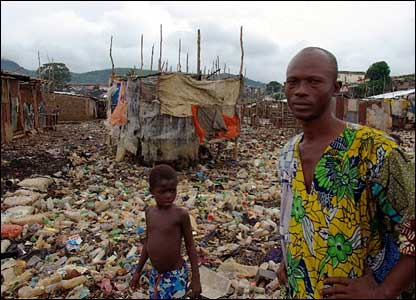 Please do not give Sierra Leone any more money, until they clean up their act. I was born and raised in Sierra Leone and now living in the United States of America. I love Sierra Leone, but the government is corrupt and has no regard for its people. It shows blatant disrespect for the constitution and the rule of law. Anybody who attempts to stand up to them – they will suppress, oppress, humiliate and intimidate, along with their families. Because of this, the people have been silenced into submission. The people simply sit there and take it. They do not have basic human necessities that we take for granted – like sanitation, clean water, education, health care, food, housing, electricity and the like. The leaders do not care. Every penny you give that country goes into their pockets, not to the people. Most recently, the president of Sierra Leone took it upon himself to fire his Vice President based on bogus accusations, without the input of parliament or the people or going through due process. When concerned citizens took to social media, he started using those same intimidation tactics again by forbidding the people from protesting. Now he has replaced the VP unconstitutionally. The government has not given account for all the monies donated for Ebola. Why would you want to give them a single red cent? This country does not need money, it needs discipline like sanctions levied against it, until it’s leaders adhere to the constitution. NO MORE MONEY please!